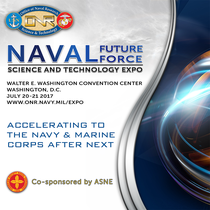 Technology Management Training Group, Inc.
Dr. Ammeen was selected for the Senior Executive Service in June 2013 to serve as Director for Marine Engineering within the Naval Systems Engineering Directorate of the Naval Sea Systems Command (NAVSEA). He is the NAVSEA technical authority Deputy Warranting Officer and Technical Domain Manager for Marine Engineering, where he sets and maintains Marine Engineering technical authority policy and procedures. As the Marine Engineering Competency Domain Manager in the NAVSEA Research and Systems Engineering Competency, Dr. Ammeen provides leadership and guidance of technical authority execution, stewardship, business operation and workforce talent management for the Marine Engineering Competency. From October 2012 to June 2013, Dr. Ammeen served as the Technical Director for the OHIO Replacement Program. He directed interdisciplinary systems engineering teams responsible for ship design and integration, logistics, reliability, maintainability and technology development and engineering. From December 2009 to October 2012, Dr. Ammeen served as the Ship Design Manager for VIRGINIA Class Submarine Cost Reduction and Block Upgrade. He was responsible for design for affordability, reduction in total ownership cost and advanced capability design initiatives for the VIRGINIA Class Submarine Program. Between 2003 and 2009, Dr. Ammeen served as the Head, Maneuvering and Control Division in the Hydromechanics Department of the Naval Surface Warfare Center, Carderock Division. In this capacity, Dr. Ammeen was responsible for the stewardship of Navy submarine hydrodynamics, stability, maneuvering and control knowledge areas. Dr. Ammeen entered Federal Government service in July 1985 at the Department of Commerce, Patent and Trademark Office as a Patent Examiner. In January 1990, Dr. Ammeen transferred to the Department of the Navy, David Taylor Research Center, Bethesda, Md. (currently Naval Surface Warfare Center, Carderock Division) in the Ship Dynamics Simulation Branch. He held positions with increasing levels of responsibility through his transfer to Naval Sea Systems Command in December 2010. Dr. Ammeen earned a bachelor’s of engineering degree in mechanical engineering from Youngstown State University in March 1985, a master’s of science degree in electrical Updated 1-12 engineering from George Mason University in August 1990 and a doctor of philosophy in information technology from George Mason University in January 1995. In 2003, Dr. Ammeen was DAWIA Level III certified in Systems Planning, Research, Development and Engineering and became a Defense Acquisition Corp Member in 2009. He is a Lean Six Sigma Greenbelt. Dr. Ammeen has received numerous awards over his career and has numerous publications on marine engineering and vessel topics. Thomas P.M. Barnett is a strategic planner who has worked in national security affairs since the end of the Cold War. He has also operated his own consulting practice (Barnett Consulting LLC) since 1998. Dr. Barnett currently serves as Managing Director at Barnett Consulting LLC. He also serves as the first appointed Senior Research Fellow of the Beijing-based Knowfar Institute for Defense and Security Studies (KIDSS) - China's first government-approved non-governmental organization in that domain. Finally, Dr. Barnett serves as a security advisory board member at iJet International. A New York Times-bestselling author and a nationally-known public speaker who's been profiled on the front-page of the Wall Street Journal, Dr. Barnett is in high demand within government circles as a forecaster of global conflict and an expert of globalization, as well as within corporate circles as a management consultant and conference presenter. A prime example is his 2005 TED Talk, which has received over a million online views. An award-winning professor, Dr. Barnett has written for Esquire, Foreign Policy, Wired, National Review, and the Washington Post, and has been interviewed by Rolling Stone, The Economist, Time, BBC World Service, CNN, Fox News and numerous foreign media. Tom Barnett has been described by U.S. News & World Report's Michael Barone as "one of the most important strategic thinkers of our time." Dr. Barnett is best known as the author of Great Powers: America and the World After Bush (2009), Blueprint for Action: A Future Worth Creating (2005) and The Pentagon's New Map: War and Peace in the Twenty-First Century (2004). Described by Washington Post columnist David Ignatius as "a combination of Tom Friedman on globalization and Karl von Clausewitz on war," the wide-ranging volumes have generated an enormous amount of reaction from around the world, leading to foreign editions in Japan, Turkey and China, as well as profiles in major newspapers around the world. From 2010 to 2015, Dr. Barnett served as Chief Analyst for the world's first crowdsourced consultancy, Wikistrat Inc.
From 2011-2013, Tom wrote for Time's Battleland blog, and from 2009 to 2012, Tom wrote "The New Rules" column at World Politics Review. Prior to that (2005-2009), he wrote a syndicated print column for Scripps Howards News Service, and served as a visiting scholar at the University of Tennessee’s Howard Baker Center for Public Policy and a visiting strategist at the Oak Ridge National Laboratory. From 2005 to 2011, Dr. Barnett served as Senior Managing Director of the information technology firm Enterra Solutions LLC. Dr. Barnett published a number of articles explaining these strategic concepts, which he presented comprehensively in "what may be history's most famous Pentagon briefing," declared syndicated columnist Jack Kelly. Dr. Barnett delivered this brief well over a thousand times to a cumulative wordwide audience of more than several hundred thousand government officials, military officers, industry and think tank representatives and opinion leaders. He currently gives an updated version of the brief in talks. Thomas Barnett is also a Green Bay Packer season ticket-holder, and as one of the stockholders of the franchise, he feels it is essential to check up on his investment on a regular basis. His seats are located in the historic "South End Zone" of Lambeau Field. Tom's maternal grandfather (Jerry Clifford) was elected to the Packer Hall of Fame in 1991 as a "contributor." Thomas and Vonne Barnett live in Madison, Wisconsin with their six children: three "Old Core" biologicals (two Virginians, one Rhode Islander), one "New Core" adoptee (China) and two "Gap" adoptees (Ethiopia). Dr. Thomas Beutner heads the Naval Air Warfare and Weapons Department at the Office of Naval Research. Two divisions report to him: Aerospace Sciences Research and Air Warfare and Naval Applications. Beutner is responsible for the Navy’s science and technology (S&T) investment in aircraft, air and surface weapons technology programs, as well as S&T program manager for the Sea Strike Pillar Future Naval Capability initiative. He also serves as the Navy’s representative on the Office of the Secretary of Defense Reliance Air Platforms Panel. He entered the Senior Executive Service in February 2010. Between 2010-2014, he served as director for ONR's Aerospace Sciences Research Division where he was the senior focal point within ONR for discovery and innovation investments in air platform and weapons research that enable enhanced performance, affordability and reliability for future Navy and Marine Corps air systems and platforms. He also oversaw research and development in the areas of hypersonics, directed energy weapons, rotary wing aerodynamics, energetic materials, autonomous controls and propulsion, as well as the development of computational and experimental tools for future engineering design efforts. From 2005-2010, he managed advanced technology aircraft and ship programs at the Defense Advanced Research Projects Agency, including programs in laminar flow, oblique flying wings, aero-optics integration, submarine launched unmanned aerial vehicles and hydrodynamic friction drag reduction programs. In this role, he led fundamental work to advance simulations including multiphase and polymer flows, aero-optics simulations, and aeroelasticity control approaches. He also led systems-level integration efforts for advanced aircraft demonstration projects. Between 1999-2005, he led the Turbulence and Rotating Flows program at the Air Force Office of Scientific Research, where he managed the Air Force investment in basic research in turbulence modeling, flow control and turbomachinery flows. From 1993-1999, he worked at the Air Force Research Laboratory, developing laser-based wind tunnel velocimetry systems. Beutner holds a bachelor's in aeronautical engineering from Purdue University, and both master's and doctorate degrees in aeronautics and astronautics from Stanford University. He was named an Outstanding Aerospace Alumni by Purdue University in 2007. He has published research in aerodynamic measurement technologies and computational fluid dynamics validation. He is a professional engineer, registered in Ohio, and a member of American Society of Mechanical Engineers. He is an associate fellow of the American Institute of Aeronautics and Astronautics, and serves as deputy director of the Aerospace Sciences Group. France A. Córdova, was sworn in as director of the National Science Foundation (NSF) on March 31, 2014. Nominated by President Barack Obama to head the $7.2-billion independent federal agency, she was confirmed by the U.S. Senate on March 12. Córdova leads the only government science agency charged with advancing all fields of scientific discovery, technological innovation, and science, technology, engineering and mathematics (STEM) education. NSF's programs and initiatives keep the United States at the forefront of science and engineering, empower future generations of scientists and engineers, and foster U.S. prosperity and global leadership. Córdova is president emerita of Purdue University, where she served as president from 2007 to 2012. From 2002 to 2007, she led the University of California, Riverside, as chancellor and was a distinguished professor of physics and astronomy. Córdova was the vice chancellor for research and professor of physics at the University of California, Santa Barbara, from 1996 to 2002. From 1993 to 1996, Córdova served as NASA's chief scientist. Prior to joining NASA, she was on the faculty of the Pennsylvania State University where she headed the department of astronomy and astrophysics from 1989 to 1993. Córdova was deputy group leader in the Earth and space sciences division at Los Alamos National Laboratory from 1988 to 1989 and staff scientist from 1979 to 1989. She received her Bachelor of Arts degree from Stanford University and her doctorate in physics from the California Institute of Technology in 1979. More recently, C�rdova served as chair of the Board of Regents of the Smithsonian Institution and on the board of trustees of Mayo Clinic. She also served as a member of the National Science Board (NSB), where she chaired the Committee on Strategy and Budget. As NSF director, she is an ex officio member of the NSB. Córdova's scientific contributions have been in the areas of observational and experimental astrophysics, multi-spectral research on x-ray and gamma ray sources and space-borne instrumentation. She has published more than 150 scientific papers. In 1997, she was awarded an honorary doctorate by Loyola Marymount University, Los Angeles. She is a recipient of NASA's highest honor, the Distinguished Service Medal, and was recognized as a Kilby Laureate in 2000. The Kilby International Awards recoginze extraordinary individuals who have made "significant contributions to society through science, technology, innovation, invention and education." Córdova was elected to the American Academy of Arts and Sciences and is a National Associate of the National Academies. She is also a fellow of the American Association for the Advancement of Science (AAAS) and the Association for Women In Science (AWIS). She is NSF's 14th director, succeeding Subra Suresh who stepped down in March 2013. Dr. Lesia Crumpton-Young Tennessee State University was appointed Vice President for Research and Sponsored Programs effective June 1, 2014. Dr. Crumpton-Young serves as the University’s Chief Research Officer and assists the Vice President for Academic Affairs in the development of the vision, direction, and guidance of the University’s research mission and policy formulation. Additionally, she provides oversight for the research process, education and creative thinking, as well as promotes the creation of an environment that encourages and supports leading-edge scholarly research. An industrial engineer by training, Dr. Crumpton-Young has had a long experience as a professor, a research scientist, and a university administrator. Prior to her recent role as Director of the Center for Advancing Faculty Excellence at the University of Central Florida, where she served in several other capacities, she was the Associate Provost at Texas A&M University; Program Director in the Education and Human Resource Directorate of the National Science Foundation; and Associate Dean of Engineering at Mississippi State University. A recipient of the Presidential Award for Excellence in Science, Mathematics and Engineering Mentoring, she has been the principal investigator and co-PI on many public and private grants totaling several million dollars. A prolific writer, Dr. Crumpton-Young has published and co-published several articles on engineering leadership, innovation and STEM education. Dr. Crumpton-Young, who is also responsible for patents, copyrights, and technology transfers at TSU, holds a Ph.D., an M.S. and a B.S. in Industrial Engineering from Texas A&M University. Jerry Dahlberg is a retired veteran who served 21 years in the United States Army. Originally from Iowa, Jerry came to UNC Charlotte to pursue his Bachelor of Science in Mechanical Engineering. He is now completing his Ph.D. in Mechanical Engineering and wants to go on to work in a National Research Lab upon completion of his program. Jerry was the project team student lead for the UNC Charlotte Rocket Team, which won the Best Vehicle Design award at the NASA Launch Competition in 2014 and was one of three finalists out of 3,250 student projects for the National Instruments Student Design Competition. Jerry also mentored the 2015 team and is currently the Department of Engineering’s Veteran STEM Outreach Coordinator. Also in 2014, Jerry won the Benjamin O. Hood Service Award for giving back to the community through service. He, along with other faculty, students and alum of the Motorsports Engineering program spoke on the Discovery Channel about water tunnel testing. Using NASCAR’s Car of Tomorrow and the 5th largest water channel in the United States (housed in the Motorsports Research Building here at UNC Charlotte), Jerry and his colleagues were able demonstrate the safety impact of NASCAR’s change from wing back to spoiler. When asked what the most important thing new veteran students should know when coming to UNC Charlotte, Jerry said “Don’t be bashful with faculty. Get to know your professors early in the semester. This will be key to your success. Dr. Bruce Danly has been named the U.S. Naval Research Laboratory’s new Director of Research (DOR). Danly, appointed by Secretary of the Navy Ray Mabus officially began his new assignment Dec. 25. Danly served as NRL’s Radar Division superintendent since 2008, responsible for basic and applied R&D in radar and related sensors for the Navy and Marine Corps. The division also provides support to the Navy acquisition community and to the operational Navy on quick-reaction tasks. As the lab’s new DOR, Danly is responsible for the technical program, its planning, conduct, and staffing; evaluation of the technical competence of personnel, liaison with the scientific community; selection of subordinate technical personnel; exchange of technical information; and the effective execution of the NRL mission. Arriving at NRL in 1995, Danly served as Head of the High Power Devices Section, Vacuum Electronics Branch, in the Electronics Science & Technology Division (ESTD). From 1995-2006, he led a group which developed high-power millimeter-wave technology for application to radar, communications, and electronic warfare systems. Prior to his appointment to the SES, Danly served as branch head, Microwave Technology Branch, in the NRL Electronics Science and Technology Division from 2006 – 2008. This branch carries out R&D on both wide-bandgap and narrow-bandgap semiconductor devices and passive and active microwave components. Danly received a bachelor’s of arts degree in physics from Haverford College in 1978, and a Ph.D. in physics from the Massachusetts Institute of Technology in 1983. Prior to his arrival at NRL, he was on the Research Staff at the MIT Plasma Fusion Center, as a research scientist and then as a principal research scientist, where he worked on high power microwave and millimeter wave sources for fusion and accelerator applications. Danly was elected Fellow of the Institute of Electrical and Electronic Engineers (IEEE) in 2003 for his work on millimeter-wave sources. He received the Robert L. Woods award from the Advisory Group on Electron Devices of the Office of Secretary of Defense in 1999 for leadership in the vacuum electronics community. As a member of the Research Staff at NRL during the period September 11, 2001 to 2006, he received the Navy Meritorious Unit Commendation. Danly was awarded a Group Award in 2002 for development of the WARLOC High-Power Millimeter-Wave Radar, and the NRL Technology Transfer Award in 2000 and 2003. He is a member of the APS and IEEE. He has published over 70 papers in scientific and technical journals. Danly participated in the NRL Scientist-to-Sea program in the USS Mahan (DDG 72) in 1998. “I look forward to working with Bruce as we plan, foster, and encourage scientific research that will define our future naval power,” said Chief of Naval Research RADM David J. Hahn. Captain Scott Erb grew up in a Navy family that spent much of its time in Virginia. He graduated from the U.S. Naval Academy, Class of 1992, with a degree in computer science and from the Naval War College in 2003 with a master’s degree in national security and strategic studies (with distinction). At sea, he served as Navigator in USS Tortuga (LSD 46), Fire Control Officer in USS Vicksburg (CG 69), Operations Officer in USS O’Kane (DDG 77), Combat Systems Officer on the staff of Commander, Destroyer Squadron 18, as Executive Officer in USS Carney (DDG 64), and as Executive Officer and Commanding Officer of USS Chung-Hoon (DDG 93). He deployed to every operational theater including two Western Pacific deployments in command. Ashore, Captain Erb served in the Office of the Secretary of Defense, FBI Headquarters, on the Joint Staff (J-39), at the US Naval Academy as a Battalion Officer, and most recently as the Assistant Chief of Staff (N-3) on the staff of Commander, Naval Surface Force, Atlantic. Dr. Thomas Fu is the Director of the Ship Systems & Engineering Research Division in the Sea Warfare and Weapons Department of the Office of Naval Research (ONR). He is responsible for research programs advancing hull, mechanical and electrical systems, as well as the National Naval Responsibility for Naval Engineering. The division provides options for advanced power systems aboard ship (e.g. alternative fuel, shipboard fuel cells, energy storage, distribution, and control), signatures control for surface and subsurface vessels, structural reliability and lifecycle management, hydrodynamic stability/efficiency, advanced propulsors, and metamaterials and thermal management. Dr. Thomas C. Fu entered the Senior Executive Service in September 2015. His 27 years of Federal Civilian Service began in 1988 at the Naval Surface Warfare Center, Carderock Division (NSWCCD) working part-time as a mechanical engineer while in graduate school. After receiving his Ph.D. in 1993, he became a full-time research engineer. In 2001, Dr Fu was promoted to Senior Research Engineer and then subsequently Group Leader then Division Head. In 2010, he became Deputy Head of the Hydromechanics Department, which became the Naval Architecture & Engineering Department in 2012. The Naval Architecture & Engineering Department is comprised of approximately 650 engineers, scientists, and other personnel and serves as the Navy's technical capability for surface and undersea vehicle hull forms and propulsors. Dr. Fu provided day to day operational and technical management, as well as served as the Department’s Director of Science & Technology and Naval Engineering Education Center Program Manager. During his 26 year tenure at NSWCCD, Dr. Fu lead a research group focused on nonacoustic hydrodynamics and authored over 130 technical publications. In October 2014, Dr. Fu became a Program Officer in the in the Sea Warfare and Weapons Department at ONR. Dr. Fu earned a Bachelor of Science degree in ocean engineering from Purdue University in 1984, a Master of Science degree in Physical Oceanography from the Scripps Institution of Oceanography, University of California, San Diego in 1988, and a Ph.D. in 12/21/15 Mechanical Engineering from Johns Hopkins University in 1993. Dr. Fu was a George Washington University, Department of Mechanical and Aerospace Engineering Visiting Scholar in 2013, and an adjunct faculty member at George Washington University in 2014. From 2012 to 2014 he was an Oregon State University adjunct faculty member. Dr. Fu has also taught undergraduate and graduate Mechanical Engineering courses at the University of Maryland. In 2013, Dr. Fu was named Asian American Engineer of the Year by the Chinese Institute of Engineers-USA. His other awards include a Meritorious Unit Commendation and the David Packard Excellence in Acquisition Award. Dr. Fu also currently serves as the Chairman of the 28th International Towing Tank Conference Resistance Committee and the 20th International Ship and Offshore Structures Congress Environment Committee. He also serves as an Associate Editor of the Society of Naval Architects & Marine Engineering, Journal of Ship Research and the American Society of Mechanical Engineering, Journal of Offshore, Marine and Arctic Engineering. Dr. Daniel Green joined DARPA as a program manager in March 2013. His interests include advanced materials, devices and technology integration for electronic systems. Prior to DARPA, Dr. Green was at the Office of Naval Research (ONR), where he managed both fundamental and applied research programs in the areas of electronic materials and devices focusing on advanced III-V semiconductors including wide bandgap materials, magnetic and magneto electric devices and oxide materials. From 2003 to 2009, Dr. Green served as a materials/device engineer and program manager at RF Micro Devices, Inc. where he developed Gallium Nitride (GaN) transistor technology for amplifier applications in both the commercial and defense markets. He had hands on involvement in the technology development from the materials growth to the initial one-million-hour reliability assessment, which led to the commercial release of the GaN process. Dr. Green received his Bachelor of Science in Physics and Electrical Engineering from Yale University. He completed his Master of Science and Doctor of Philosophy work at the University of California, Santa Barbara studying GaN materials and device technology.